The New York State Attorney General and the three credit reporting agencies initiated changes by a settlement agreement that resulted in the birth of an entity known as the “National Consumer Assistance Plan.” This new rule changes the way public records related to civil judgments and tax liens are reported on consumer credit reports. Let me explain how this will affect the Realtor, the client and the entire transaction. One of the first steps in a real estate transaction is for the consumer to obtain a pre-qualification letter. This letter verifies that income, credit and assets have been reviewed and they meet underwriting criteria for a mortgage approval. Mortgage companies utilize a tri-merge credit report (TransUnion, Equifax and Experian) to check credit scores, credit history, judgments, tax liens and derogatory credit when checking the credit portion for the pre-qualification process. In the past loan originators would find inaccurate information reported regarding tax liens, civil judgments and derogatory credit. Prior to the enactment of the National Consumer Assistance Plan, removing civil judgments and tax liens that were in fact not the consumers was an extremely difficult and drawn out process, causing some consumers to withdraw from the housing market and others suffering unnecessary grief when obtaining mortgage financing. • Include the consumer’s name, address and date of birth or Social Security number for each tax lien or civil judgment. • In addition, the courthouse must check and update records at least every 90 days. If these conditions are not met existing public records can be removed from the credit report without the consumer putting in much effort to doing so. Moving forward these public records should not appear on the consumer credit report if the conditions were not met when initially reported to the bureaus. Please note this will not change the requirements of other public records, bankruptcies or foreclosures because these types of derogatory credit already include the requirements listed above. The positive is that the National Consumer Assistance Plan is setting higher standards for creditors when reporting consumers tax liens and civil judgments. It is holding the three national credit bureaus responsible to keep the information updated by courthouse records every 90 days. The negative is if the tax lien or civil judgment is in fact the consumer’s and the companies have failed to meet the criteria for it to be reported, it will not be reflected on the credit report. This information if accurate, will be reflected in the title search that is completed long after a contract of sale is signed, a mortgage commitment is issued and an appraisal is completed. This will then negatively impact the loan application and can result in loan declination and a closing falling apart at the last minute. Note: There is talk that Fannie Mae and Freddie Mac will be adding to their loan product advisor (Desktop Underwriter & Loan Prospector) a tool that will help assess the borrower’s liens and judgments portion of the credit earlier on in the approval process. This is not set in place as of now but is due to be released soon. Now more than ever it is extremely important to utilize a mortgage professional that completes a detailed pre-qualification prior to the consumer beginning the home buying process. Have patience when a mortgage professional is working with the consumer to deliver a pre-qualification letter. This is a much more detailed process than some can imagine. The information reviewed for the pre-qualification process is a pure indication of how the entire transaction will unfold. Choose a company that you are comfortable with, that is reputable in the industry and takes the time to fully research all aspects of the transaction. Title companies will now play a tremendous role in the pre-qualification process. Mortgage professionals will be looking to title companies for the judgments and lien searches prior to a full title being ordered to ensure the accuracy of the judgment and lien section of the credit report. Mortgage professionals can also utilize a service that the credit bureaus are offering to run a search for liens and judgments, although the search run by the credit bureaus will not be nearly as accurate as the search run by a title company. 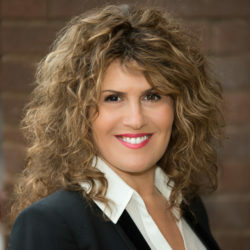 Irene Amato is chief executive officer of A.S.A.P. Mortgage Corp. “The Unique Boutique Mortgage Experience,” which is headquartered in Cortlandt Manor. Amato was selected as the Hudson Gateway Association of Realtors’ Affiliate of the Year in 2013 and was also named Broker of the Year by the New York State Association of Mortgage Brokers in 2013. She and can be reached (914)-736-9230.